After last night's iPhone 8 and iPhone X announcements, everyone is scrambling to release wireless chargers (because both of those phones have that ability). Belkin has just unveiled its new wireless charging pad for iPhone 8, iPhone 8 Plus and iPhone X. It's called the Boost↑Up Wireless Charging Pad (weird use of a symbol, we know), and it provides an effortless charging experience for iPhone 8, iPhone 8 Plus and iPhone X. It will charge at levels up to 7.5W for compatible devices, but its underlying tech is Qi, meaning it'll be compatible with every other Qi smartphone. It'll even work through cases up to 3mm thick, so unless you're planning on slapping your new iPhone X in an Otterbox Defender, you should be safe. 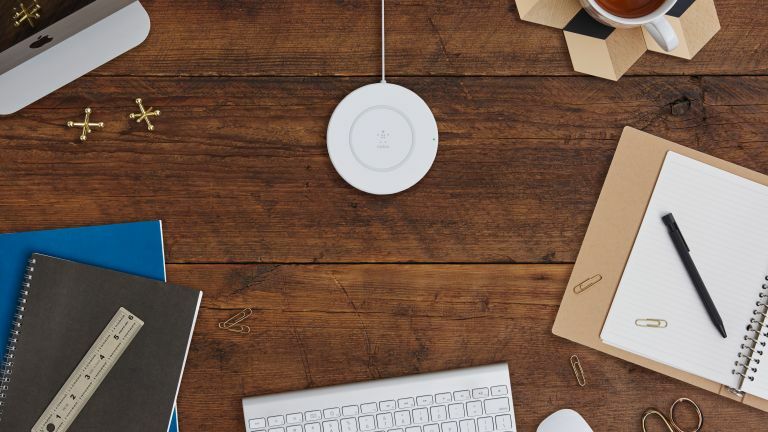 Belkin’s Boost↑Up Wireless Charging Pad will be available for purchase September 15 for £54.95 from Apple Stores and online. Belkin isn't the only player in the wireless charging game - Mophie has also go in touch with its iPhone 8 and iPhone X offering. The Wireless Charging Base is exactly the same specification as the Belkin above, but features a more rubberised finish to prevent scratches to your pride and joy. The Mophie Wireless Charging Base will be available for £49.95 from Apple Stores and online.